SIMON TOWNSHEND was born with music in his blood. The son of England’s top big-band reed man, Cliff Townshend, and younger brother of The Who legend Pete Townshend, Simon has been recording and performing since the age of nine, when he was recruited to add vocals to The Who classic Tommy. Although the Townshend name is familiar, Simon’s music has its own original sound and his song writing plunders great depths and returns with unique compelling narratives set against haunting melodies. Simon has a strong loyal fan base which includes a number of fellow musicians such as Eddie Vedder (Pearl Jam), who has followed Simon since his 1983 release ‘I’m The Answer’. Simon, a multi-instrumentalist and singer, has released 8 acclaimed solo albums and one with the band Casbah Club (featuring Bruce Foxton/The Jam & Mark Brzezicki/Big Country), all on his US label STIR MUSIC. Simon launched his own label in the UK, STIR RECORDS and released remastered versions of his last two US releases, LOOKING OUT LOOKING IN and DENIAL with bonus tracks, in 2016. Both these albums, well received when originally released in the US, contain some of Simon’s most personal and inspirational work to date. He is currently offering free downloads of new music, as part of his DUAL ROBOT project. Details and download links can be found on his blog. 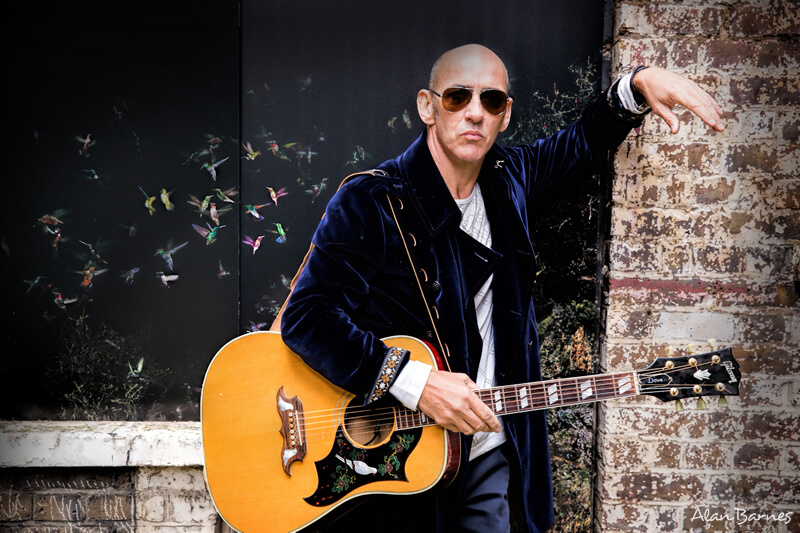 In addition to his own music, Simon has been guitarist and vocalist in The Who since 1996, playing sold out tours around the world, including monumental performances at the 2010 Super Bowl and the closing ceremonies of the 2012 London Olympics. Simon, referred to by one U.S. newspaper as The Who’s “secret weapon”, was an integral part of the band’s 2012/2013 “Quadrophenia and More” tour, playing guitar, supplying backing vocals and taking the lead on “Dirty Jobs” every night. In 2004 Simon served as producer for The Who’s first new, original studio recordings in more than 20 years and lent his talents to their 2006 album Endless Wire. Simon has also performed with numerous other established acts ranging from Jeff Beck to Pearl Jam and Dave Grohl. He continues to work closely with Roger Daltrey and elder brother Pete on a variety of projects. He can regularly be found interacting on his web site, www.SimonTownshend.com, and on Facebook and Twitter.